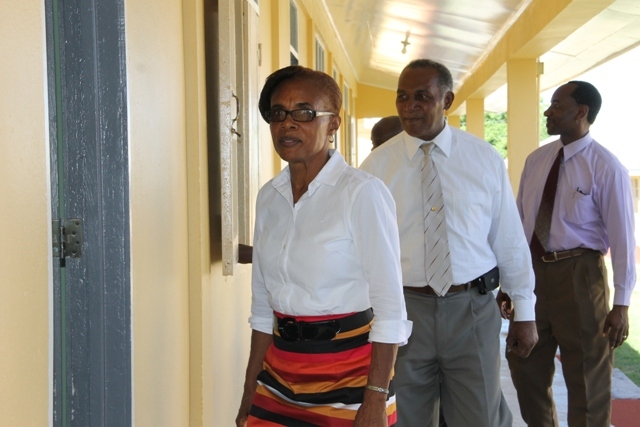 CHARLESTOWN NEVIS (SEPTEMBER 11, 2015) — In view of the extensive rehabilitative work done on all schools in Nevis, Premier of Nevis and Minister of Education Hon. Vance Amory, continued his tour of inspection of schools, specifically the Gingerland Secondary School, on the September 08, 2015. The Premier was accompanied by Permanent Secretary in the Premier’s Ministry Wakely Daniel and the Assistant Permanent Secretary Kevin Barrett. Mr. Daniel had the vantage of expressing his deep appreciation of the greatly improved environs. 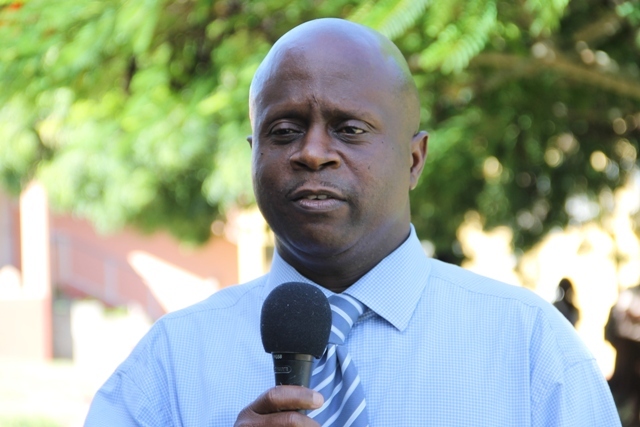 He submitted to having spoken to all of the stakeholders on site – students, teachers and the deputy principal, to get their impressions of the renovations. According to Mr. Daniel, they were all elated over the much improved teaching / learning conditions. He ended on a positive note by stating that the tour of the other schools will be continued throughout the term. To date, the Charlestown Secondary School, Charlestown Primary School and Ivor Walters Primary School have been visited.